Honkin' Tom's Busking Amp suitable for guitar, uke and of course harmonica. This little amp not only looks great, but sounds great too! With its independent volume and drive controls, as well as EQ control means you will always be able to find the perfect sound, be it for instrument lesson, home practice, busking or even little bedroom jams. (The cream with tweed grill model has an extra gain boost button). These amps look great with their retro style tolex and knobs, and vintage look grill cloth. They are also very portable, with their compact size and comfortable handle, they also has corner protectors so they can take a few knocks on the way to shows or practice. Don't be fooled by how small this amp is, it is surprisingly loud too! 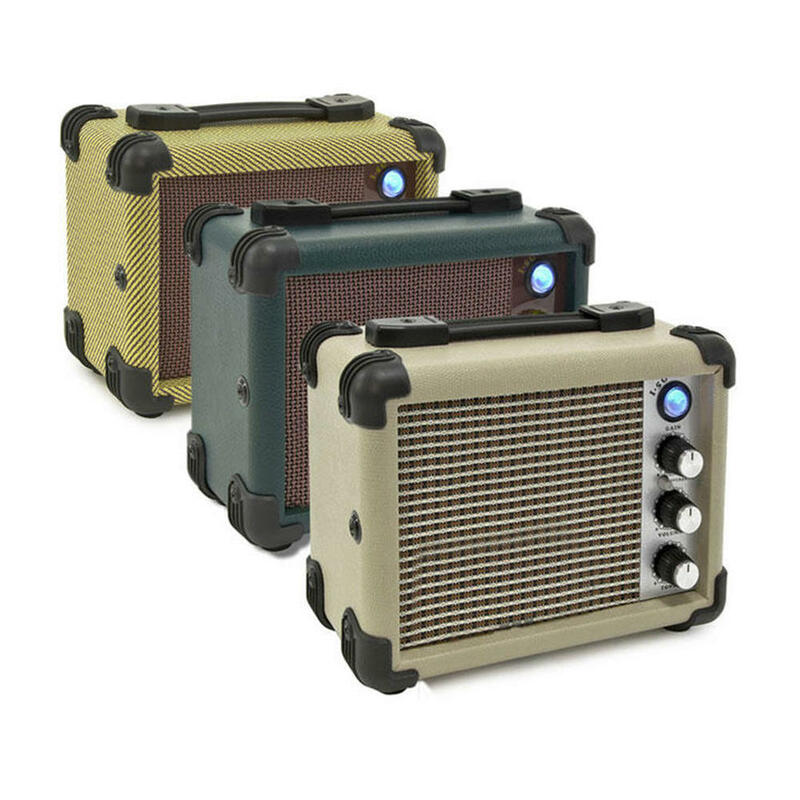 This amp can be powered by batteries (included), as well as by a power cable (not included), making it perfect for jamming on the tour bus or busking on your travels. Along with this, this great little amp has an input for an mp3 player, so you can play along to your favourite tracks, and it also has a headphone output, so you can get the distorted sounds, EQ and character of the amp without disturbing anyone.